Knowledge of propolis composition, which depends on the geographical and climatic origin, is extremely valuable with respect to the problem of its standardization. Chemical composition, antioxidant and antimicrobial activity of forty-five (45) selected Mediterranean propolis extracts from mainland Greece (22), Greek islands (15), Cyprus (5), Croatia (2), and Algeria (1) were determined. All previously isolated metabolites from propolis by our team, together with their full structural determination through modern spectral means, were used as internal standards in our further GC-MS analyses. This method is proposed as an essential tool in the pursuit of a fast and cheap analytical method of propolis characterization (1, 2). More than 300 constituents have been identified through GC-MS concluded that the Greek propolis samples share characteristics that differentiate them from typical European ones, mainly the presence of diterpenes in significant amounts and the relatively low quantity of phenolic acid esters. Mediterranean propolis could be confirmed as a new type of propolis consisting mainly from diterpenes and produced based to Conifer trees among Cupressaceae and Pinaceae, which are widespread in Mediterranean’s area Flora (3). All studied samples showed a very interesting antimicrobial activity against a panel og eleven human pathogenic microorganisms, probably due to their high terpenic content. Moreover they appeared as rich sources of natural antioxidants which can possibly be exploited as protective agents against various free radical related degenerative diseases. In conclusion, Mediterranean propolis to our view is an adequately defined new propolis type, which can be added to the well accepted existing classes. ISNAD GRAIKOU, Konstantia , CHINOU, Ioanna . "An Overview of Chemical Studies and Biological Activities of Mediterranean Propolis". 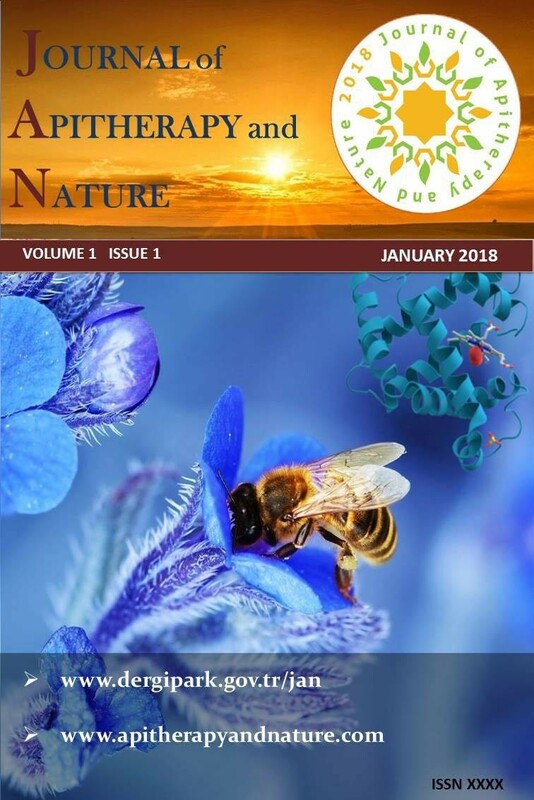 Journal of Apitherapy and Nature 1 / 3 (December 2018): 20-20.